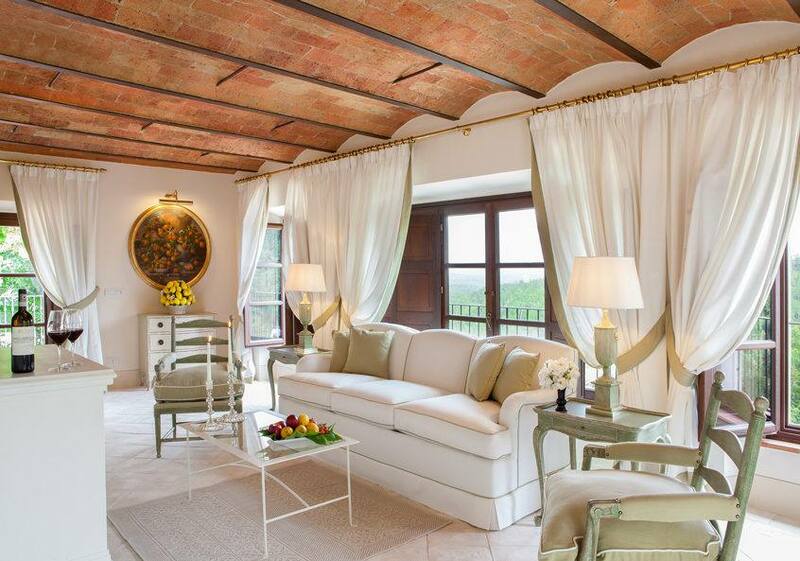 Prestigious and perfect for pampering, the three Suites at our hotel in Tuscany reflect the harmony of the Tuscan countryside. 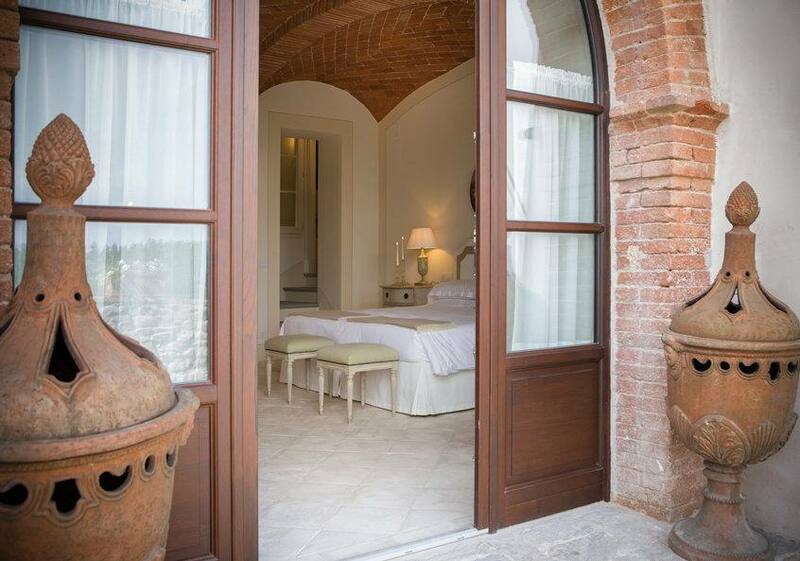 Two of these spacious rooms have been created in the Limonaia of the main building, known as the “Villa”. One of these beautiful Suites is situated on the ground floor, with direct access to the garden; the other is located on the first floor. Both vaunt mesmerizing views over the picturesque valley. From the all-round windows, verdant woodland, rolling hills and tranquil vineyards set the scene from this idyllic high-end accommodation. The gate leading to the panoramic pool and manicured green lawn is found in front of the main entrance into the Limonaia. The first-floor Suite boasts a private terrace that looks out over the spacious garden in the shade of the regal oak tree. 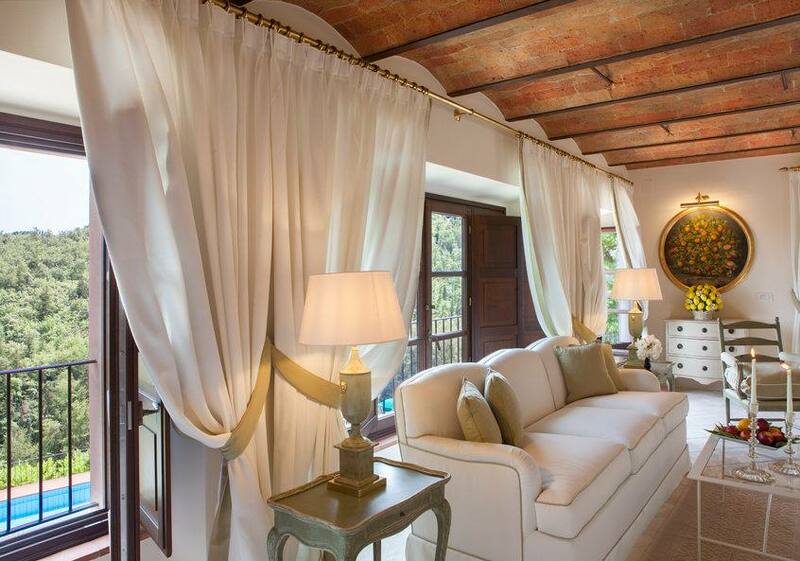 The furnishings in both Suites were inspired by the lemon tree, from the memorable paintings to the singular ornaments. The shades of the fabrics and the blending of details make these Suites unique. The elegant yet understated furnishings in natural hues are accentuated with polished brass touches and extraordinarily matched antiques. Two additional beds can be added to one of these rooms, on request. 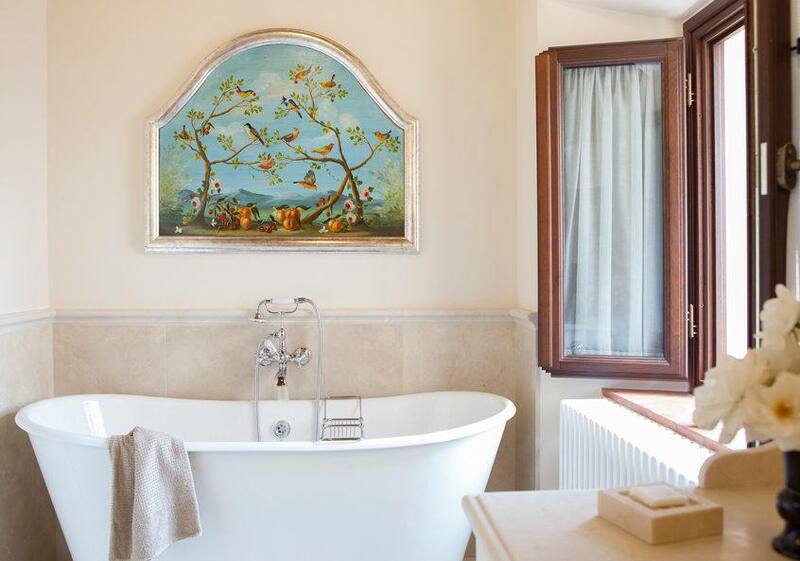 One of the three Suites at our rooms near Siena is located in the smaller three-roomed “Dievolino” complex (a Classic, a Deluxe and a Suite), adjacent to the panoramic Giardino del Tasso garden, with wide-ranging views over the greenery of centuries-old olive trees. Here the art changes topic. The paintings depict birds with pastel blue plumage. The attention to detail and careful blending of decor make every suite unique. 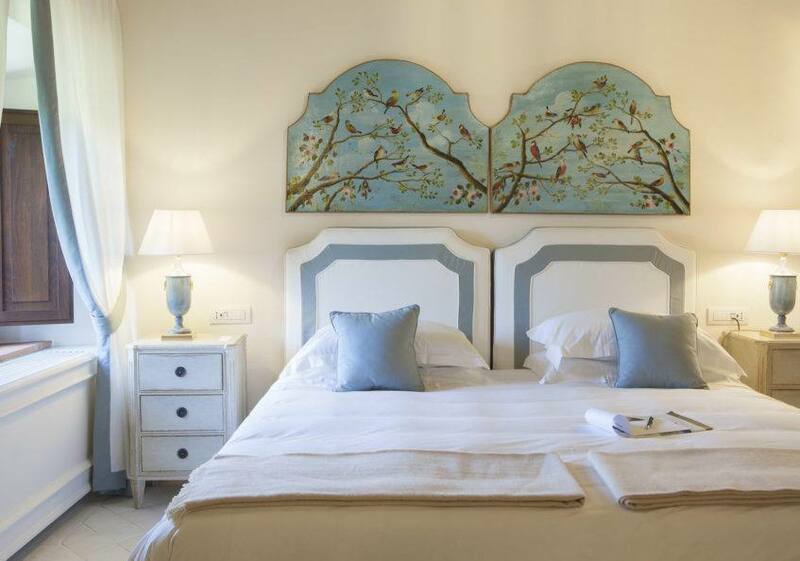 Single and double beds are available, topped with the softest goose feather comforters and pure percale cotton sheets. 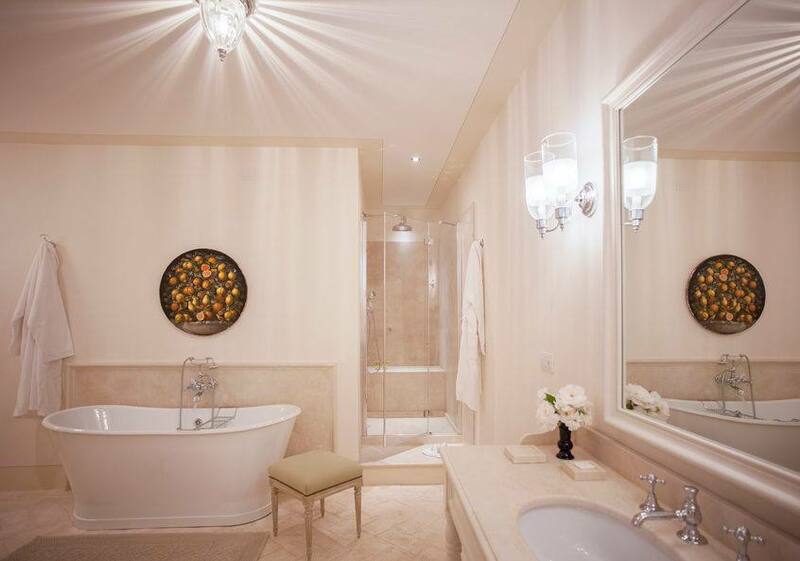 Every Suite has its own original style and vaunts spacious bathrooms featuring glass showers and white cast-iron tubs. 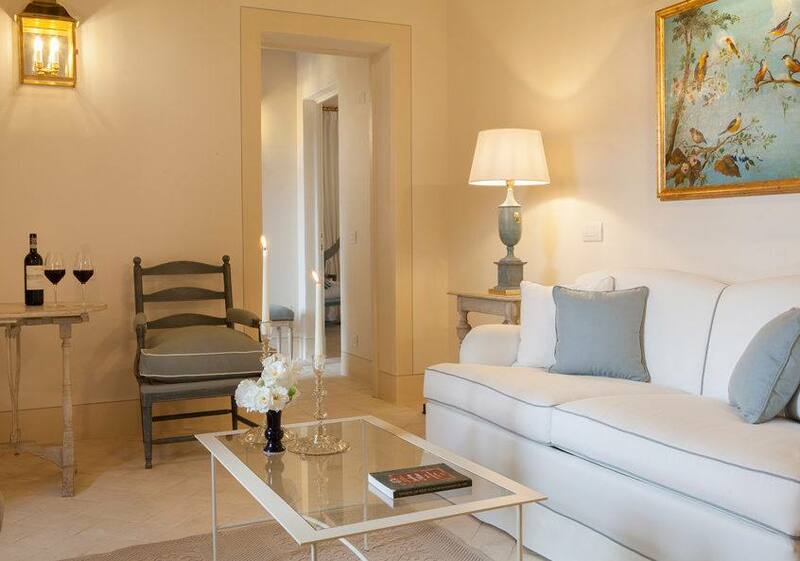 The furnishings are accentuated with fine marble and travertine details. Hairdryers, make-up mirrors, soft robes, slippers and toiletries are on hand. In the room, guests will find pool towels in personalized Dievole jute bags. 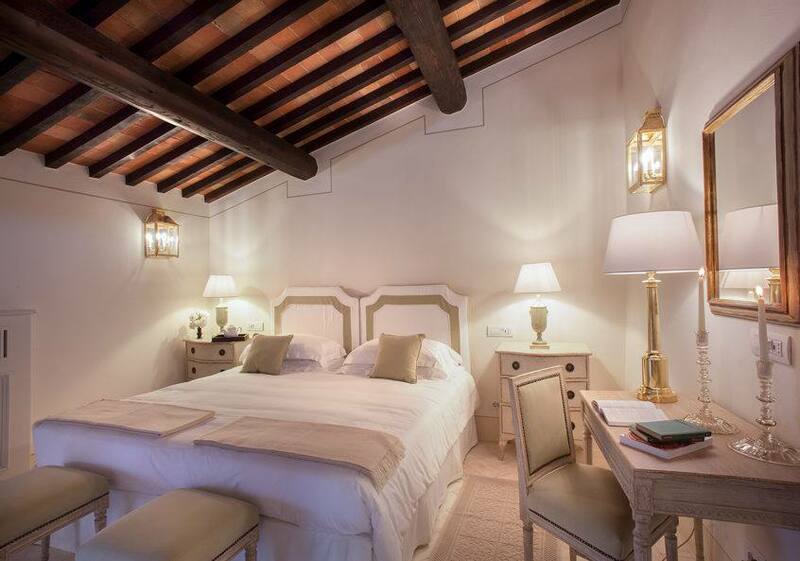 Ideal for an unforgettable stay, the suites are warm and welcoming, varying in size from 45 to 50 square meters.